﻿ Best Price on Dunn's Villa Resort in Montego Bay + Reviews! Set on a former sugarcane plantation in the hills of Rose Hall, this resort features a rooftop sun deck and a poolside bar and grill. Free Wi-Fi and free continental breakfast are included. Each individually styled room of Dunn’s Villa resort includes a computer and satellite TV. Some also include beautiful views of the ocean. 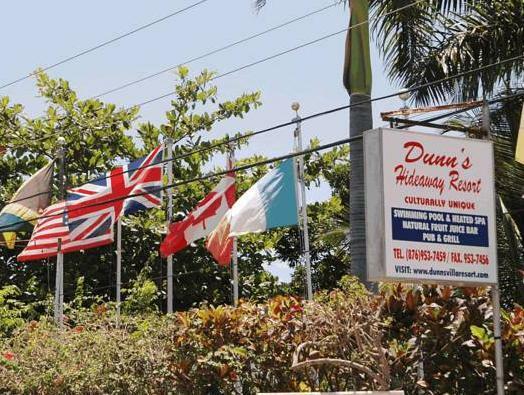 Guests of Dunn’s Villa are welcome to relax in the hot tub, hammocks, or landscaped garden. The villa’s full staff can also help arrange a massage or tours of the island. The resort is within 5 minutes of Cinnamon Hill Golf Club and the Montego Bay Convention Centre. Sangster International Airport is a 10-minute drive away, and airport transfers are available for free on request.